One way to look at this CD is that it’s a lot like The Flower Kings. That said, though, I think it’s more that they share a palette of influences than that these guys are patterned after the Flower Kings. 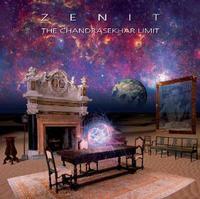 However you like at it, though, this is melodic and powerful symphonic progressive rock. It’s emotional and dynamic. It’s diverse and stellar. It has a number of epic pieces and some shorter ones. All in all, it’s a disc that’s sure to please the progressive rock purists out there as it well tied into the classic prog sound. This review is available in book format (hardcover and paperback) in Music Street Journal: 2013 Volume 3 at lulu.com/strangesound. This starts as acoustic guitar based ballad. The first vocals come in over that backdrop. Then it works out from there into some killer progressive rock before shifting to a different prog jam. The modes are definitely in keeping with classic prog rather than more modern versions of progressive rock. Some of the musical motifs that emerge during the instrumental section call to mind classic Genesis. When it drops way down to a stripped back arrangement for the next vocals, this becomes even more Genesis like. Still, it powers out into more soaring prog from there. There’s even a jam that gets a little funky, a bit like Nektar meets Deep Purple later. It has some Pink Floyd elements to it, too. As the guitar solos later that Pink Floyd reference becomes even more valid. As it gets more spacey, Floyd is still on tap. Then it shifts to a more triumphant sounding, melodic progressive rock resolution from there. It drops to just piano to continue. That shifts to a pretty and intricate balladic sort of jam. It eventually shifts to some crunchy guitar to end. At about twelve minutes in length, this is really an epic powerhouse. This is a short tune that’s basically a folk rocker. It’s still got some prog on hand, but overall is more of a simple tune. A bouncy, almost funky jam opens this. Somehow I’m reminded of Jethro Tull a bit here. After a time it shifts to sort of a transitional movement. Then we get some killer prog from there. It’s kind of crunchy and yet kind of like Pink Floyd. The thing is, it’s also a little jazzy. That jazz element gets more pronounced as it turns back towards the opening section. As it gets into more theatrical territory later, Genesis seems a valid reference point at times. This is another killer jam that’s mostly based in old school progressive rock. While the rhythm section opens this and plays a prominent role, the keyboards are really a major factor here. The lyrics are not in English and there’s a cool middle Eastern section later, too. There’s some pretty intense jamming as it continues. Then, before the four minute mark, it basically starts over, coming back to the opening section and working back out from there. After the vocals end this time we’re taken into a killer fusion jam. The bass takes over later and we’re brought gradually out into a space rock meets fusion sound for a time. We’re taken later into a folk prog movement with some non-lyrical vocals. Then lyrical ones (still not in English) are heard beyond that. Some melodic mellow progressive rock jamming continues out from there. Then we get some English vocals over a prog ballad arrangement. The piece keeps expanding from there as different vocal and instrumental sections take over here and there. This is definitely another epic piece, both in length and scope. At around the thirteen minute mark it shifts to a melodic movement that makes me think of Genesis. Harder rocking guitar enters as the movement develops. It remains quite melodic, but the guitar does have a crunch edge. Around the fifteen minute mark the first section of the cut returns and gets some variation as it takes the track to its eventual conclusion. Bouncy and quite classical in nature, to me this feels like some kind of mix of Starcastle, Gentle Giant, Pentwater and Genesis. Then it drops down before powering out into a harder rocking jam with some killer guitar riffing. Around the three minute mark it shifts out to a melodic movement that really makes me think of Genesis. This instrumental just keeps evolving in quirky ways until it eventually works its way out.